NYPAC, the New York Performance Artists Collective, is excited to present Kokomo, Aside, a multi-channel video installation by Juan Antonio Olivares. The work was written and directed during Olivares’s residency on the island. 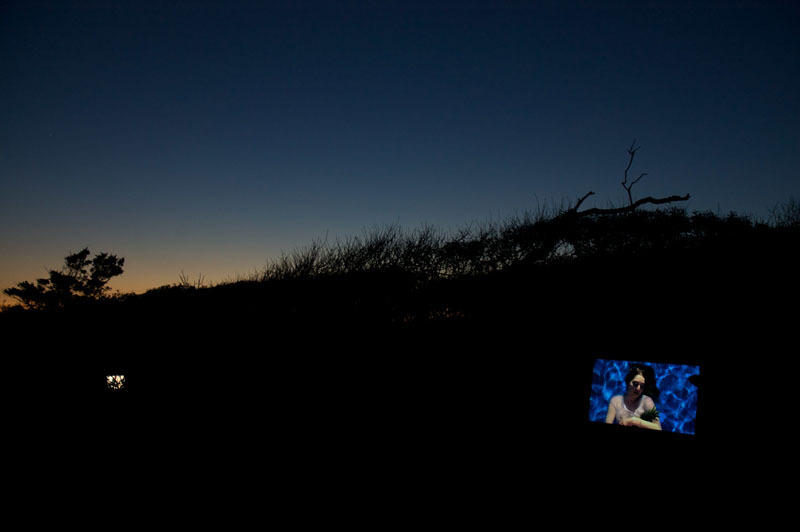 The screening marks the start of this summer’s I <3 Fire Island performance series. 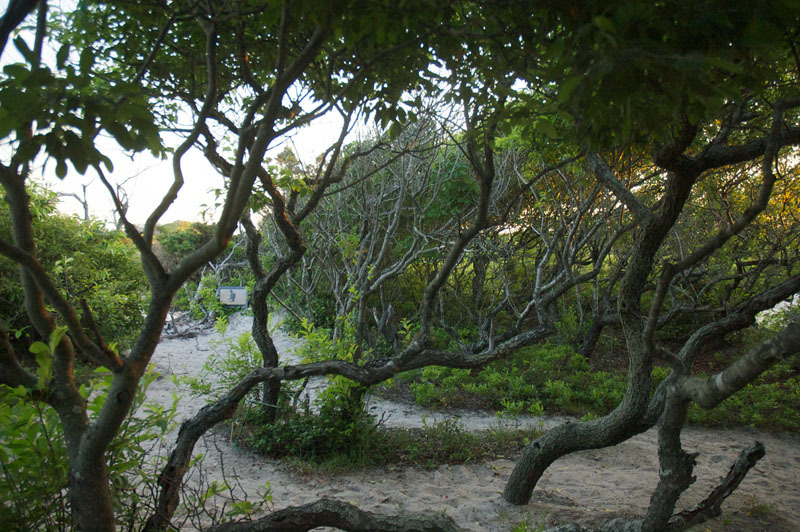 For the video, Olivares reformulates Fire Island as an abandoned site where four archetypal characters find themselves stranded as castaways. Drawing from the tradition of auteur film, Olivares directs each of the four personas one-on-one. The characters theatrically interrogate their situations and themselves, performing in a manner reminiscent of reality TV confessionals. The setting and characters draw heavily from television and film tropes, including the desert island, the cowboy, and the anarcho-punk. Being stranded recurs as a narrative in mass culture, including the campy 1960s adventures of Gilligan's Island, the unresolved mysteries of the 2000s show Lost, and the monological despair of Tom Hanks in the film Castaway. Olivares’s Kokomo, Aside repurposes these materials, envisioning today’s desert island as one where the kitsch, existentialism, and powerlessness of these works have collapsed together. 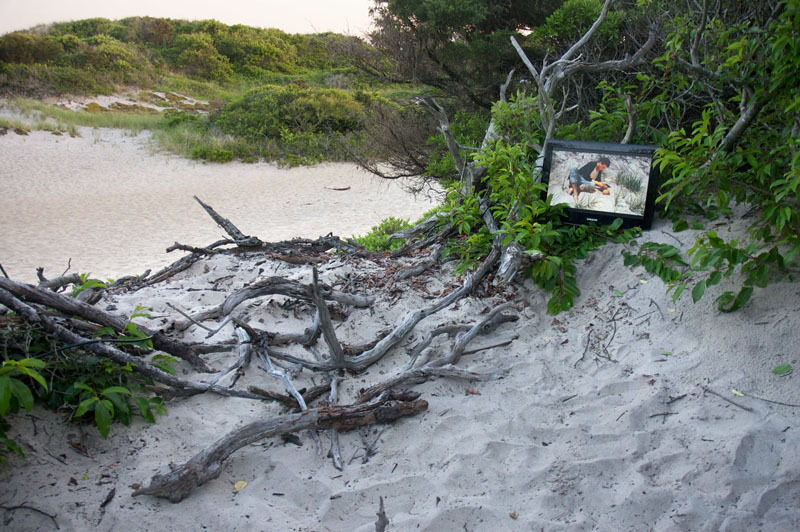 Following sunset on June 14th, Kokomo, Aside will be visible as a three-channel projection within the natural landscape of the Fire Island Pines. To attend the screening, you must send a text message to NYPAC on the day of the performance. You will receive a reply with the approximate location, directing you to find your way.